Our program is not a magic wand and will require some big changes, effort and dedication on your part. It is about you learning how to limit abusive behavior effectively and not remain a soft target or ‘sitting duck’ for put downs and abuse. It is also about building love and rapport and you learning to understand and regulate your emotions better while becoming a better role model for your partner and your kids. This may help your partner’s behavior to change and it may not and we cannot make any guarantees in that regard. I do need to stress however that this situation will not get better on its own. You should also be aware of the fact that there are no drugs to treat these disorders and leaving your relationship without taking steps to prepare yourself will often put you at even greater risk. We get testimonials every week saying our material has helped many couples to have a peaceful and happy marriage like ours is now. Other testimonials say that our material has provided the courage to leave an abusive relationship in a way that the rest of the family now feels safe and able to rebuild their lives. I knew a woman once who was killed by her ex husband right in front of her children just as she believed she had begun a new and happier life without him. She had done everything that her family and friends advised but ended up dead and her children in the care of his family. The memory of this tragedy (and the many others I see in the news) continues to motivate me to spread our better informed message on this subject to as many people as we possibly can. I Think I am a Narcissist What Can I Do? Congratulations that you are ready to work on becoming better connected with the people around you! We have a number of products that may help you and are always working on more. Please look through our product pages and choose from; “The Love Safety Net Workbook”, “Emotional Stupidity”, “The Little Book of Empathy” and “Your Blind Spot“. Please ask yourself. “Where are the areas in my life that I feel the most inadequate?” Are there basic skills you lack that cause you stress? Find the courage to admit you need help with these gaps in your learning and know this; as bad as it feels to share the fact that you may be very embarrassed about your behavior, others will most likely find this admission endearing. Which is more important to you? To be right or to be liked? My Partner Has Already Left – is There Anything I Can do? It is much better if you start our program before things reach this stage. If your partner has their heart set on leaving there is not much you can do. That said, we get many emails thanking us that the understanding our eBooks gave them helped them get closure and heal after their divorce. You should also be aware that your partner may land on your doorstep after ‘sucking their new relationship dry” and want you to forgive them and take them back. If you do take them back the leaving and returning may then happen again and again. For this reason our information on how to deal with your partner if you decide to take them back will be very useful. You may also become aware that your next relationship can very easily end up exactly the same as your last if you don’t learn new relationship skills. We can help with knowledge you can put into practice to break that cycle and help you build better relationships with everyone in your life. What is Best For my Kids? What matters most to your kids is that you resolve the conflict. If you divorce but the fighting continues this is the very worst outcome for your kids. They will then need to negotiate a mine field of new relationships with step parents etc. that will all become a part of your ‘family war’ and statistically their chances of being abused will rise sharply. Because of this, we believe (depending on your circumstances) that it is best if you can save your marriage. Either way it is vital you resolve the conflict and learn healthy relationship skills you can pass on to your kids. Should I Give Your eBooks to my Partner and Say I Suspect They Are a Narcissist? No, our products are for you and you should follow the steps in them. Later, if your partner is willing, the exercises in The Love Safety Net Workbook and our audio products will help them, but in the beginning it is unlikely that they will be prepared to participate without you pushing, which will not help. It is important that you follow the steps and exercises first. Your efforts will bring change for you whether they get better or not. Will Your Program Help Other Narcissistic Members of my Family? Yes, our program was adapted from parenting skills and so will be useful with teenagers, adult children and other family members with some modification. Regardless of who has this problem in your family we recommend that you read as much of our material as you can before you decide on a plan of action. I am Not Sure Where to Start / What book/audio I Should Buy First? Our material is very straightforward and our books short and easy to go back to when you need to look up something you may have forgotten. The packages on our introductory specials page (which you will become eligible for if you subscribe at the bottom of this page) break our products down into groups that should help you see where is best for you to start. My Partner Doesn’t Have NPD But Has Been Diagnosed With _______ Will This Work For Them? If your partner is verbally or physically abusive I recommend you start with Back From the Looking Glass and 10 Steps to Overcome Codependence. These books will teach you better skills at assertiveness, self protection, emotional intelligence and goal setting which will help you maintain your self confidence and stay safe around any kind of anti social behavior. You knowing how to best protect and take care of yourself will be the best thing you can offer your partner no matter what their disorder. For specific help for their condition please find a specialized health care provider you trust. I Can’t Afford Your Products/ Can I Pay You Later When I Can Afford it? We greatly appreciate donations towards our work and if you are in a situation where you are able to support our work you may make a donation at the bottom of the page HERE. How do I Best Print and Bind my eBooks? Please watch the short movie at the top of this page – at the end is a demonstration of how to best do this in a way that will really help you get yourself organized. All of our ebooks are in PDF format – either as downloads or on CD if you purchase the hard copy version. For more technical details of how to print a PDF document go HERE. How do I Open the eBook on Screen? For more information on Adobe Reader and how to use it go HERE. 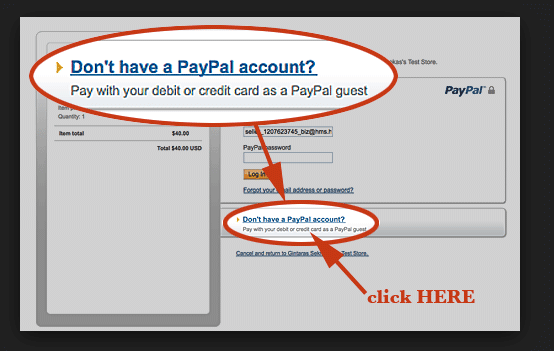 Can I Use my Credit Card if I Don’t Have a Pay-Pal Account? Yes please look for this in the checkout. Check Your browser history first. If you still can’t find it please contact us at kimcooper66@gmail.com and we will send you the link again and this time please remember to bookmark the page. You will need an program to play mp3 files on your computer; we recommend iTunes which is free. How do I Burn CD of the Audio File? We suggest you use itunes. Please email us at kimcooper66@gmail.com with your purchase detail including the email address you used at the checkout and the purchase date. We cannot do this for you. Please go to the bottom of the email you received from us and click unsubscribe. Sorry for the inconvenience please contact us at kimcooper66@gmail.com. Your order should arrive within 5 business days in the US and Canada and within 10 business days outside the US and Canada. If you have been waiting longer than this we can track your order so please send your details to us at kimcooper66@gmail.com. Please copy and paste the URL that is below the link into your browser window. For more detailed instructions go here.